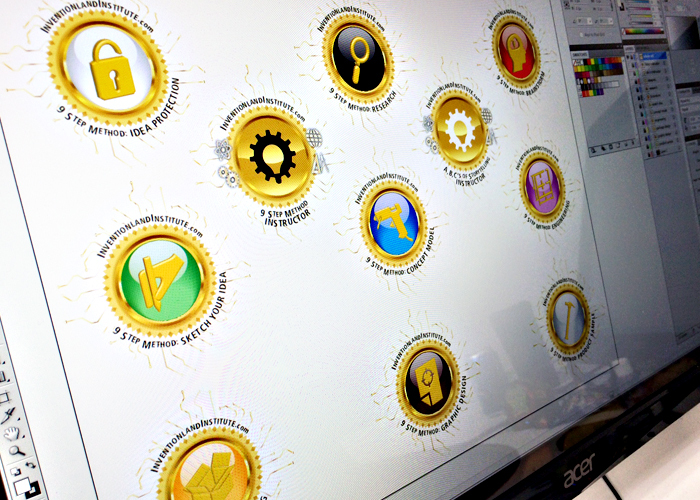 Coming Soon to the Inventionland Institute… Digital Badges! Behind the scenes at the Inventionland Institute, we’ve been working on creating digital badges that our next semester of enrolled students will have the opportunity to earn. After all, staying on the cusp of what’s new in education is kind of like a pre-requisite for an inventing curriculum, right? Since our proven method for product development has nine steps, we’re planning for nine badges that will be awarded at the completion of each step. We’re also working on a badge to recognize the accomplishment associated with completing the course’s final product pitch. And, instructors, we’re not leaving you out, either! 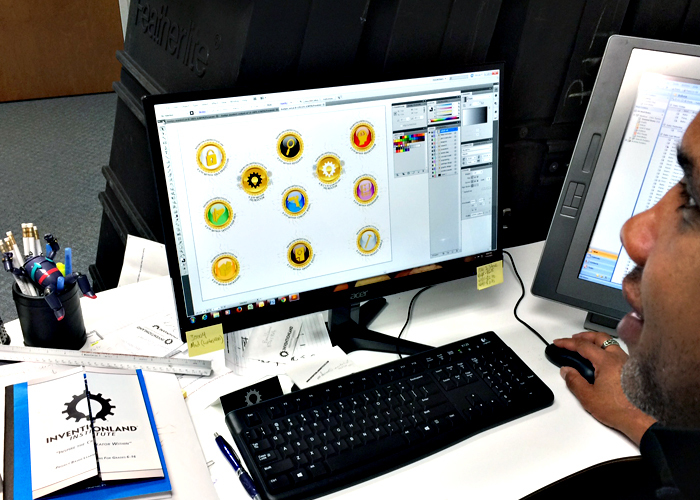 Our designers are creating a digital badge that will mark your completion of our curriculum training course. Whether they end up being universally adapted credentials or simply our own tool for marking achievements in and the completion of the Inventionland Institute curriculum, we’re looking forward to adding digital badges to our program! Stay tuned for completed designs and the implementation of our digital badges… coming soon!